Weekly Spiritual Digest: Keep Calm and Carry On [God’s Will]! Jesus left that part of the country and returned with his disciples to Nazareth, his hometown. The next Sabbath he began teaching in the synagogue, and many who heard him were amazed. They asked, “Where did he get all this wisdom and the power to perform such miracles?” Then they scoffed, “He’s just a carpenter, the son of Mary and the brother of James, Joseph, Judas, and Simon. And his sisters live right here among us.” They were deeply offended and refused to believe in him. Then Jesus told them, “A prophet is honored everywhere except in his own hometown and among his relatives and his own family.” And because of their unbelief, he couldn’t do any miracles among them except to place his hands on a few sick people and heal them. And he was amazed at their unbelief. 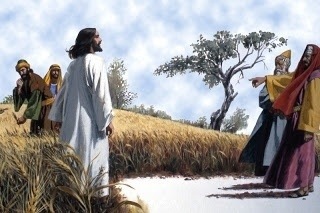 Then Jesus went from village to village, teaching the people. Jesus says that a prophet is never honored in his hometown but that doesn’t mean his work is any less important. A person doesn’t need to be respected or honored to be useful to God. If friends, neighbors or family don’t respect your Christian work, don’t let their rejection keep you from serving God! In life, we too must learn from this example. We must learn to not let rejection (especially people from our own hometown) hold us back from fulfilling our purpose and God’s purpose. We must continue like Jesus did and carry on.